A beautifully crafte website, developed from scratch, using WordPress. We also designed the logo, corporate identity and business cards for GIA. 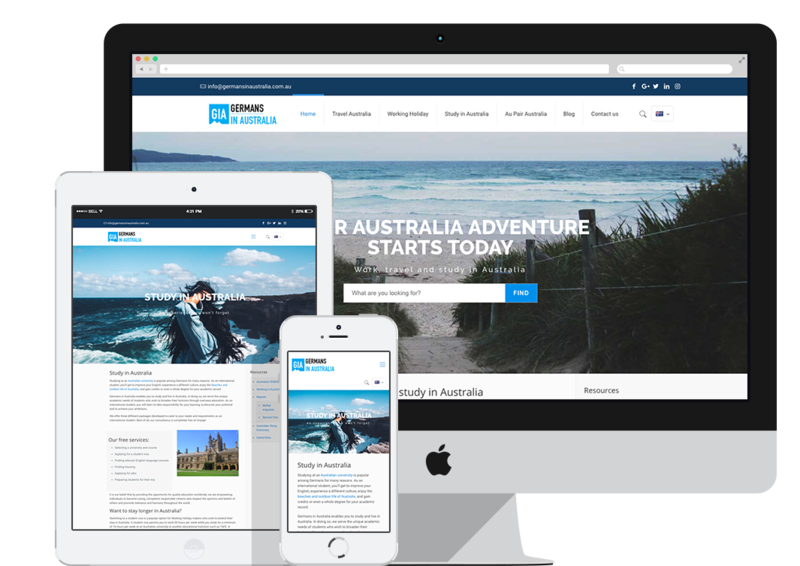 Germans in Australia (GIA) is a social and travel website for the German speaking community in Australia. The company offers Working Holiday packages, travel deals and information around migrating and living in Australia. GIA approached Denkbar as a start-up, with the specific need to have a user-friendly website that incorporates a travel booking platform and a forum. The website comes with a blog and news section to update and refresh content regularly and independently.